The national tour of the explosive Broadway hit "American Idiot," dubbed “wonderfully raucous” and “emotionally charged” by The New York Times, will play the Boston Opera House for a limited engagement, January 24 - 29, 2012. "American Idiot" is part of the Lexus Boston Area Dealers Broadway Across America – Boston Series. The company will include original Broadway cast member Van Hughes starring as Johnny (the role in which he concluded "American Idiot's" Broadway run), along with Jake Epstein as Will, Scott J. Campbell as Tunny, original Broadway cast member Leslie McDonel as Heather, Gabrielle McClinton as Whatsername and Nicci Claspell as The Extraordinary Girl. Ensemble members include Talia Aaron, Krystina Alabado, Gabriel Antonacci, Larkin Bogan, Matt DeAngelis, Dan Gleason, Kelvin Moon Loh, Tommy McDowell, Jillian Mueller, Vince Oddo, Okieriete Onaodowan and Kaitlyn Terrill. 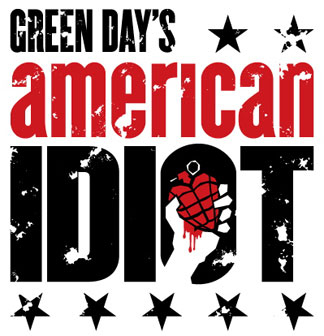 Michael Mayer commented, "The creative team and I couldn't be happier with the stellar group of actors we've assembled which includes original Broadway cast members Van Hughes and Leslie McDonel along with many wonderful and talented new additions to the 'American Idiot' family."